The Chinese government is responding to the rapid growth of Christianity in that country with violence and oppression, in an attempt to consolidate power. But that is exactly the wrong response. 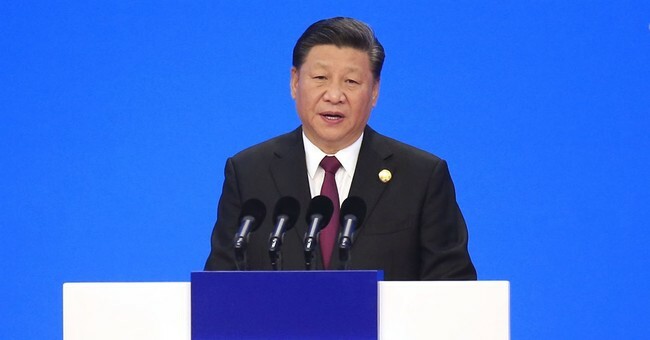 We at Bowyer Research urge President Xi Jinping to study recent history – and Chinese history – more carefully, to see that his government’s campaign of imprisonment and violence is not likely to produce the stability he wants. In our investigation of the dynamics of regime change, we’ve found evidence that governments with high levels of Christian persecution are considerably more likely to have regime changes forced upon them than their non-persecuting counterparts. This should worry President Xi, as his administration has embarked on a brutal campaign of Christian repression. According to a reportpublished last year by The Associated Press, Xi has waged “the most severe systematic suppression of Christianity in the country since religious freedom was written into the Chinese constitution in 1982 … destroying crosses, burning Bibles, shutting churches and ordering followers to sign papers renouncing their faith. Xi may very well be risking the stability of the Chinese state by attacking the Christian minority. Particularly noteworthy has been the imprisonment of Pastor Wang Yi of Early Rain Covenant Church, along with his wife and dozens of members of his church. Pastor Yi wrote a brilliant exposition on the right to religious freedom and the limits of the state, reproducing the arguments of John Calvin and applying them to China in anticipation of his arrest, with instructions to have the declaration released if he were held for more than 48 hours. Two months later, he and much of his flock were jailed, and this statement went out to the world. As a fellow Christian and as a human being, I am concerned about these victims of oppression. But I am also concerned about China, because my read of history and of the data is that it is dangerous to be a persecutor. We here at Bowyer Research are engaged in a research project that compares the number of regime changes since 2000 with the OpenDoorsUSA watch list, which tracks the 50 countries in which Christians are most persecuted. Our findings so far indicate a clear statistical relationship between persecuting the church and regime change. Unfortunately, there are some significant data-availability issues that we are still working on. We only have recent persecution data. Since the persecution list (unfortunately) tends to be stable over time, we think the analysis is worth taking seriously, but the conclusion will be somewhat tentative until we are able to get longer-term persecution data. There are 193 United Nations member states (though we include Palestine in our data). Of those members, roughly 23% have experienced a regime change in the past 19 years. But 38% of the countries in the OpenDoorsUSA watchlist have experienced a regime change. Being on the watch list gives regimes worse odds of survival than Russian roulette. You might object that underdeveloped countries in sub-Saharan Africa are exaggerating the correlation, in that their frequent regime changes and trouble with Islamist terrorism don’t have a clear causal link. But even if we remove the sub-Saharan African countries, we still see a very strong correlation. More than half of all the states outside sub-Saharan Africa that have had a regime change since 2000 are on the OpenDoorsUSA watchlist. The Arab Spring is also very illustrative of this relationship. All five of the Arab Spring countries that experienced a regime change in 2011 are on the OpenDoorsUSA watchlist. By repressing its Christian churches, China finds itself in unstable company. If President Xi paid attention to the examples of recent history, he might rethink how he deals with China’s fastest-growing religion. But if that’s not enough to convince him, perhaps a cursory examination of Chinese history will. Xi is in the process of making the same mistakes that led to one of the most disastrous events in China’s history, which was a direct result of the Chinese state persecuting a Christian minority. The Taiping Rebellion, lasting from 1850 to 1864, killed at least 20 million people, with some estimates putting the death toll above 70 million – higher than that of World War II. If Xi follows in the footsteps of the Xianfeng Emperor in 1850, his regime is at risk of more political instability, violence, and even regime change. It’s as if Xi and the leadership learned the wrong lesson from the Taiping Civil War – viewing Christianity in itself as the cause, rather than the cause being the unjust persecution of Christianity. In reality, the reason the rebellion escalated from local rabble to catastrophic civil war was the reaction of the Xianfeng government. The leader of the rebellion, Hong Xiuquan, had only a marginal following in 1850 – something on the order of 20,000 disciples in a country of 450 million. It was only after the government outlawed Xiuquan’s syncretic Christian cult and ordered his followers to disperse that the movement became a rebellion. I’m not predicting a Taiping-type rebellion. China’s Christians are peaceful. But persecution tends to cause weakness in a regime that other groups, which are non-peaceful, exploit. Nero persecuted the Christians and severely diminished his moral standing by so doing, but it was not the Christians who rose up against him. Persecution often has the reverse the effects that it intends – it brings attention to the disfranchised group. It makes the regime look fearful and cruel. It can create both sympathy for, and curiosity about, the faith being persecuted. It also tends to discredit the regime and widen existing fissures. Xi should be cautious of making the same mistake – his attempt to crush the perceived threat of the Christianity minority in China will not have the desired outcome. History tells us that persecutors of the church often suffer for it, whether they be emperors, emirs, or presidents. Roman Emperors Nero and Diocletian died in disgrace and despair. The persecution of the entrepreneurial Calvinist Huguenots may have helped create the economic preconditions for the French Revolution. By persecuting Christians, President Xi is following the example of tyrants 2,000 years ago, 200 years ago, and two years ago. In doing so, he very well may be weakening the stability, integrity, and future of the Chinese government. This article appeared on Asia Times.